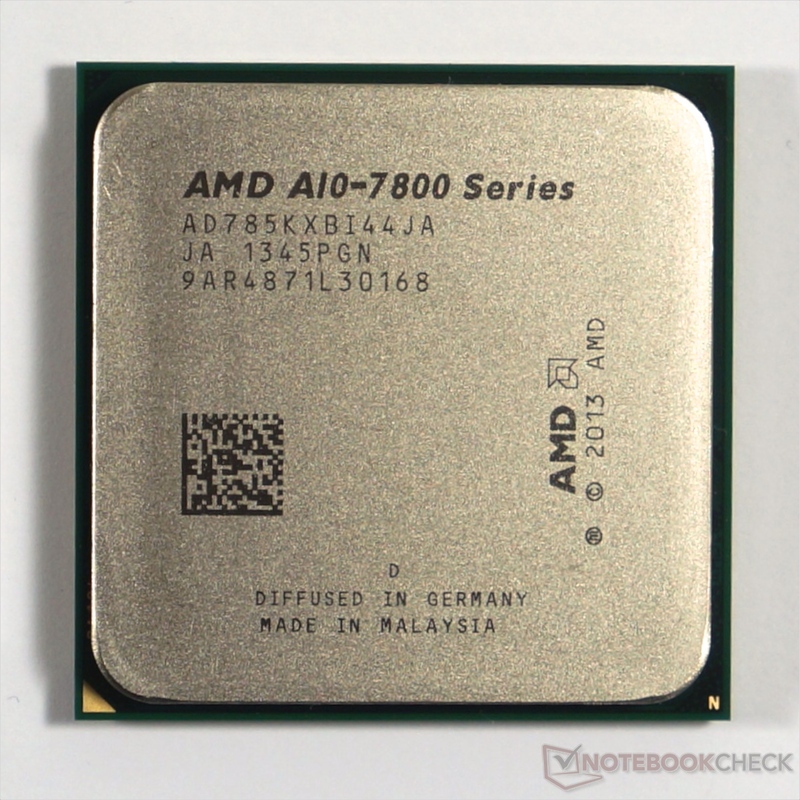 The AMD A10-7850K is the top model of the desktop Kaveri line-up at the begin of 2014. It is a quad-core processor that integrates two Steamroller modules with four integer cores and two FPU cores. The integrated AMD Radeon R7 graphics card integrates 512 cores (8 computes cores) and can be used seamlessly with the CPU thanks to HSA. As Richtland, Kaveri supports DDR3-2133 main memory. The fast GPU however needs fast RAM and profits from overclocked (2400) dual-rank memory configurations. The processor performance of the A10-7850K is similar the Richland predecessor A10-6800K and therefore on par with Haswell-based Core i3 CPUs. The TDP of the desktop APU is specified at 95 Watt and therefore 5 Watt below the Richland top models.